Do you know exactly how much time your trucks are actually driving around the warehouse? Or how much downtime some of the trucks in your operations are experiencing? Could there be a solution to optimise service intervals and lower overall cost? Now, there is an easy way to monitor and be in control of your operations, allowing you to improve efficiency, productivity and safety. Warehouse trucks from Toyota Material Handling that are ordered after October 2018 are delivered with integrated telematics. At Toyota we are taking the lead with standard smart trucks in this industry because we want to offer you the trucks and tools for a lean logistics operation. Installing telematics hardware as standard allows easy access to all data from the moment the truck is produced. This way you can easily access and analyse the data from your smart trucks, to understand and improve your operations. As standard, Smart Trucks from Toyota give you an overview of running hours, utilisation, service and rental data, as well as the possibility to do a mobile service request. In order to take control of your operations you can have an easy overview of your smart trucks in the fleet list. You can also track your truck utilisation in terms of the operating hours to schedule maintenance at exactly the right time, eliminating waste in service time and cost. 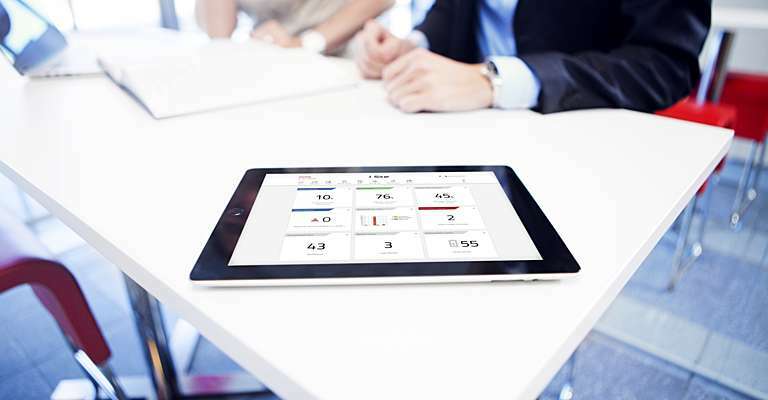 For maximum uptime of your equipment, you can easily contact your service team with the app. You will ccess to a web portal and an overview of all smart trucks on site. See meters running, fleet numbers, service & rental contract data. Track your operating hours and tailor the service intervals to give your truck a longer lifecycle. Get in touch with your service team via the web portal or app by sending a picture and/or a message. With one click you can activate I_Site to monitor your trucks and drivers to improve when necessary. Smart trucks can be easily connected to I_Site, the fleet management system from Toyota. With one click, the technology can be activated which allows you to monitor your operations and use this data to detect and solve issues. I_Site offers you detailed reports to make the right decisions & improvements in truck utilisation, monitor which drivers are licenced for certain truck types, and improve service intervals, among others. How do Smart Trucks today prepare my business for the future? 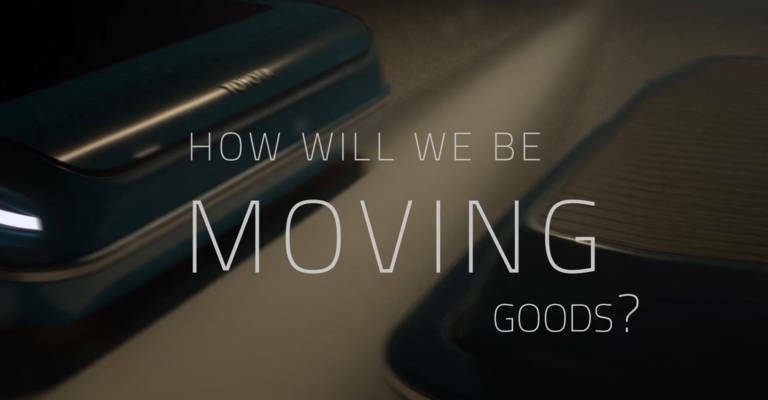 As of today, smart trucks will help you to secure the future of your logistics operations. By gathering and analysing data of your smart trucks, you will be able to continuously optimise different areas in your business. You will be able to prolong the lifecycle of your equipment and optimise the amount of trucks during specific periods in the year. You will also enjoy alternative commercial offers that suit your business needs such as rental trucks paid by the hour. And even predictive service to avoid any downtime in the future. How do Smart Trucks contribute to lean operations? In a world where everything is connected, smart trucks provide you with the right information to make sure you are in total control and can improve efficiency in your operation. You will be able to measure and improve, even taking action from a distance. Whether you are a one-truck customer or have a big fleet of forklift trucks across multiple sites globally. The result? A lean operation with extreme optimisation, and zero waste in energy, time and space. What is a smart truck? A smart truck is a forklift that is connected thanks to hardware that allows data to be transmitted. 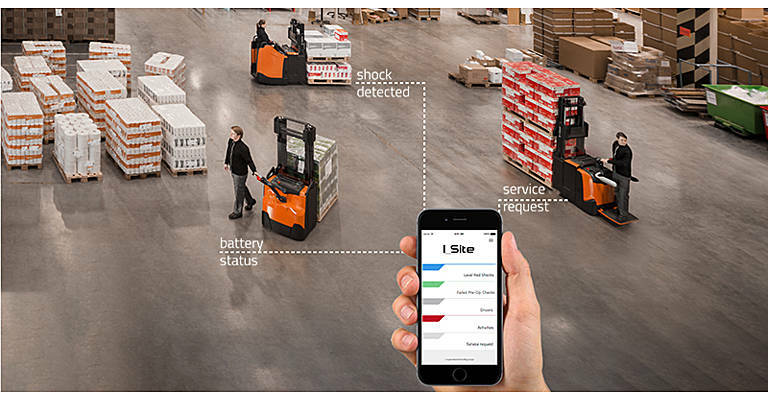 You can connect all forklift trucks within your fleet, collect the data from each truck, and of course get an easy overview of all activity within your business. Smart trucks are equipped with a telematics device which communicates online to a web server and provides customers with vital information on how their trucks perform. 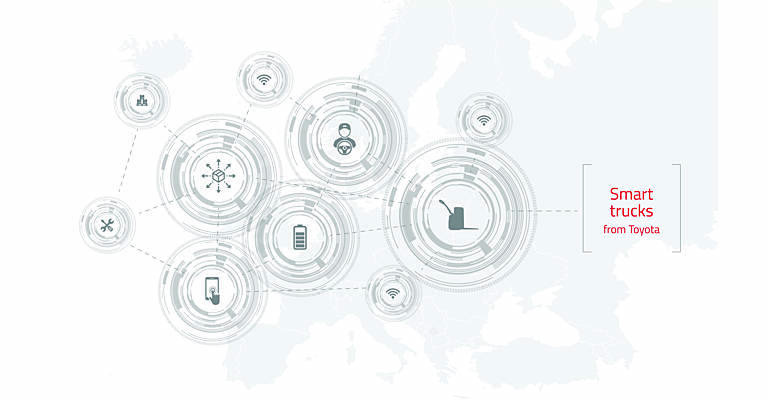 Connecting, monitoring and analysing the activity of smart trucks all has the same end goal: to optimise efficiency in your business, reducing your total cost of ownership (TCO) and improving your return on investment (ROI). What is a Toyota Smart Truck equipped with integrated telematics? 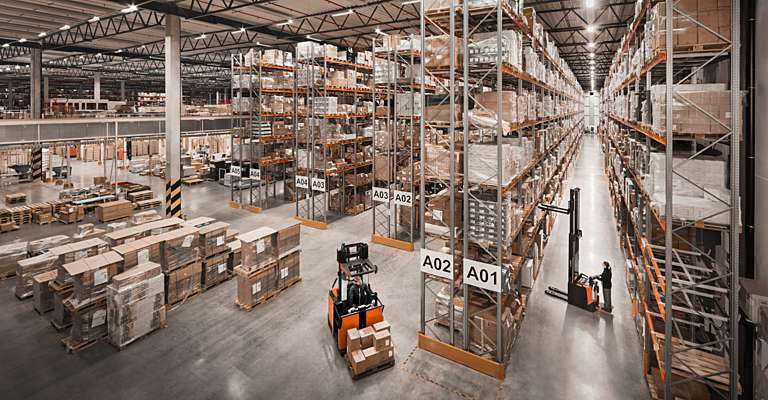 Warehouse trucks from Toyota Material Handling that are ordered since 1 October 2018 are delivered with integrated telematics. The reason behind installing the telematics hardware as standard during production is that all data from the moment of production of the truck can be instantly available for you analyse and compare the data and behaviour of all trucks. This allows you to have full control over your truck fleet and improve your operations in the areas you wish to, for example in safety or productivity. The hardware of a Toyota smart truck consists of a DHU2+ data handling unit with transmission device, an antenna, and a shock sensor, as well as a keypad. Smart trucks are built with telematics hardware already integrated in the truck during production. This offers the possibility of the truck being connected, but the telematics software still needs to be activated. Upgrading to I_Site does not require any installation on-site: it is a mobile solution allowing connectivity around the globe, making it user-friendly and cost-efficient. When connected, the data generated from the smart trucks from Toyota is transmitted directly from the truck to a central database, where the information can be accessed via a web portal or mobile app. This is done via the I_Site application, the fleet management system created by Toyota over ten years ago and continually developed. Within this portal, activity levels of all trucks are recorded, creating data that is ready to be analysed. This data can be accessed and used for fleet management. Which features are included in a smart truck? Smart truck users will be provided with access to a fleet list via the I_Site portal, showing details of all smart trucks that Toyota has delivered to that site. The fleet list is extracted from the 'MyFleet' facility, but excluding service and cost reports. It will, however, include hour meter readings for all Toyota smart trucks in the fleet, which allows you to monitor utilisation levels. This facility is included as standard. The fleet list also shows additional fleet management information such as service and rental contract data, and fleet numbers. Even if you choose not to subscribe to full I_Site information immediately, you will have the benefit of knowing that activity levels are being recorded, building valuable analytics data for future fleet management and predictive servicing. We will be working closely with all of our customers, to build solutions that reflect their exact requirements, with a menu of additional information channels becoming available. What are the features and benefits of a smart truck? Smart trucks provide you with the right information to make sure you are in total control of your operation, and even allow you to take action from a distance if necessary. Whether you are a one-truck customer or have a big fleet of forklift trucks across multiple sites globally. For a maximum value-added operation with extreme optimisation, and zero waste in energy, time and space as a result. You can have an easy overview of your smart trucks on site in a fleet list, with details such as meters running, fleet numbers, service and rental contract data. This way you can make sure you're in total control of your operations and can optimise certain areas if necessary. Truck utilisation can also be tracked with an easy overview of the operating hours of the smart trucks, indicating when maintenance is due based on the amount of hours run. Tailoring your service intervals to the use of your trucks, for longer lifecycle of your equipment. For quick and easy service of your smart trucks, you can get in touch with your service team via the web portal or app, by sending a picture and/or a message. For a quick service response bringing the support your truck needs. Smart trucks are equipped with telematics hardware to connect easily to I_Site, the application that allows you to monitor trucks utilisation and driver behaviour. With one simple click the technology can be activated which allows you to monitor your operations and use this data to improve the areas you wish to. What does a smart truck cost and how do I upgrade to I_Site? 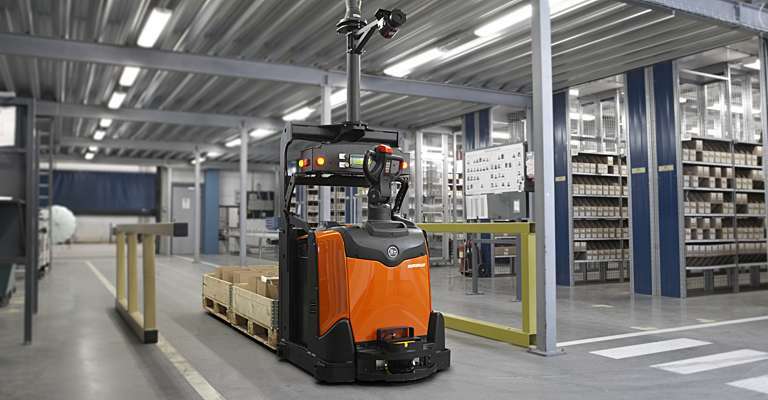 Since the telematics hardware is built into warehouse trucks from Toyota as standard, these forklifts are available as smart trucks at no extra cost. This means you will have an overview of all trucks in your operations, as well as their operating hours. If you wish to add certain options, you can request a truck with the following below listed functions, which require additional hardware against a small fee. - Pre-operational check: only allows the truck to start after a complete safety check of the truck has been performed by the driver. 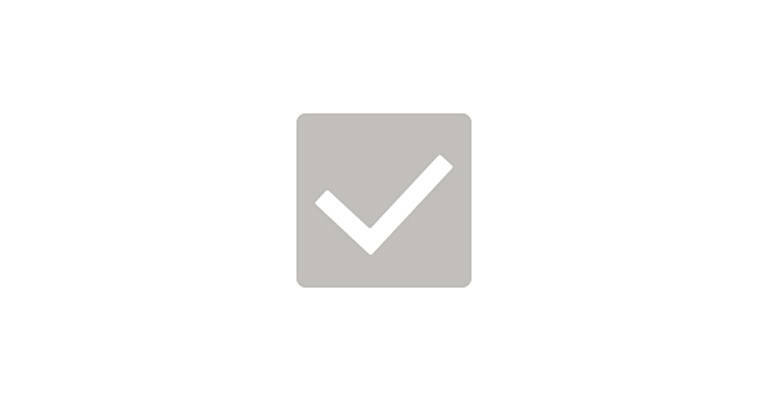 - Smart access: lets an authorised driver start the truck using their existing badge. - MyFleet package: a summary report with your machines' performance, based on telematics and Toyota internal systems. What should I think about regarding data security with my smart truck? Toyota trucks gather and store utilisation data when they are used. All such data is transmitted to and processed by Toyota. Without prejudice to the customer's intellectual property rights and subject to compliance with applicable law, in order to continuously improve our logistics solutions, products, rental and service offerings, Toyota and its affiliates will collect, use, modify and copy any data received under this contract. Any legal obligations regarding personal data shall remain unaffected. Buying a smart truck from Toyota means buying a connected truck: in other words, a default consent to connectivity and to our collection of smart truck activity data. As a customer, you will have to explicitly opt-out if you do not want your truck to be connected. The data we collect does not include driver details, thus no GDPR Data Processing Agreement (DPA) will be required. For more specific information about our collection of truck activity data according to local legislative requirements, please contact your local Toyota Material Handling organisation. When you upgrade to the I_Site system, which requires Toyota to access and process personal data, it triggers mandatory GDPR actions. At the point of truck order or I_Site upgrade, customers buying full access to I_Site information are required to sign a DPA, otherwise you are not GDPR compliant. This also applies to all existing I_Site users.